This Sunday I bring you a shoe that you might need sunglasses on to look at. I could not post these shoes with any others because in all honesty nothing could possibly outshine it. It really is on a whole level by itself, not because of it's height and platform but because of it's beauty and craftsmanship. 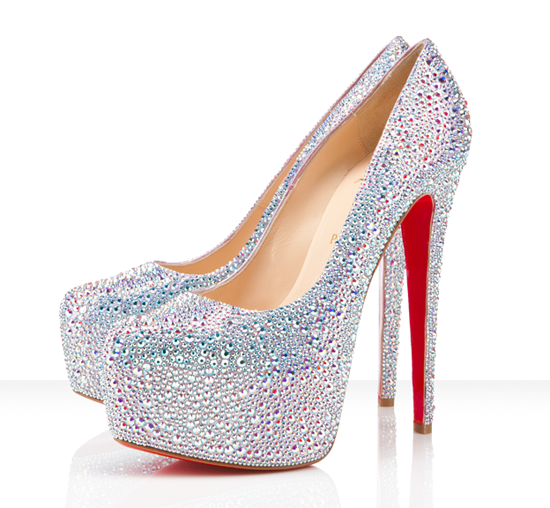 This Sunday I bring you Christian Louboutin Daffodile 160mm with a hefty price tag of $5,995. WAY out of my price range but I just love looking at these shoes. They are truly exquisite and mesmerizing. What do you think?